Did you know that if you want to do the challenge of visiting all 270 London Underground stations in the shortest time possible, there are only certain days of the year that it is technically possible? This is all due to the slight anomaly that is Kensington (Olympia). Situated at the end of a tiny little branch on the District line that goes up from Earls Court, Kensington (Olympia) station is situated right next to the Olympia exhibition centre. 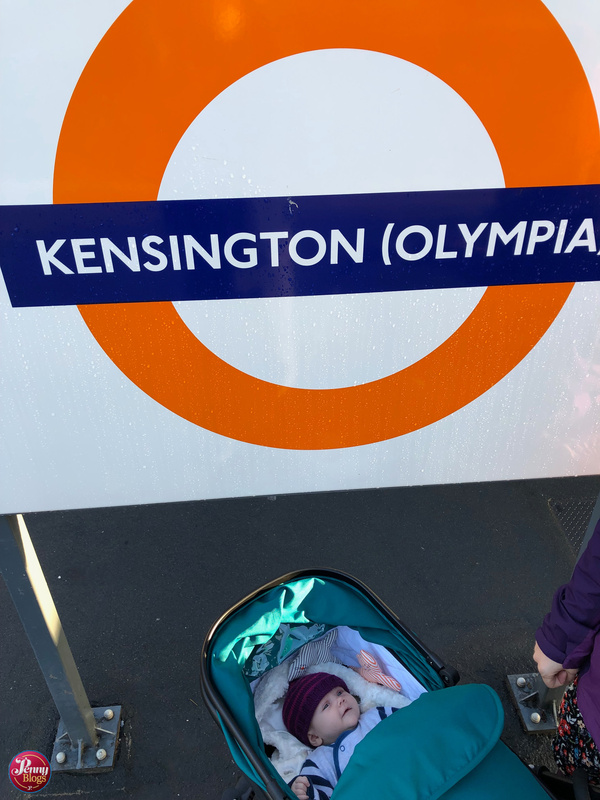 This is in fact the reason that Tube Stop Baby got to visit the station so early on in the challenge – I was going to Olympia for the Toy Fair as part of my work over on Penny Plays. These days Kensington (Olympia) is only served by District line trains at the weekend, or when there are certain events on at neighbouring Olympia – the Great British Beer Festival being one of the most noteworthy reasons! This makes it the least served station on the whole of the London Underground. I could probably waffle on here about exactly when it is served, and why, but there’s a tube expert (and former world record holder) who can do that far better than I can! It does pose a whole tonne of questions about just how long London Underground might keep serving Kensington (Olympia) or whether they might just leave it to the National Rail services that run to the other platforms there. It’s a bit of a sad decline really for a station that in the early 1970s was planned to be the main London terminus for Channel Tunnel trains! Over the years services have run from there to Birmingham, Liverpool, Manchester, Edinburgh and Glasgow. The station was served by milk trains and was also part of the Government’s Cold War plans in case of a need to relocate Government away from London. When Eurostar used to run into Waterloo, their trains used to pass through Kensington (Olympia) on their way to the North Pole depot and the station even had basic back up immigration facilities in case of an incoming train having to be diverted away from Waterloo for some reason. Up until 1981 the station was even a terminal for Motorail trains. These moved to Paddington, Euston and Kings Cross before being finally being withdrawn in Summer 2005. There’s still a small reminder of Kensington (Olympia)’s role in this part of British Rail history though as what was the terminal is now a car park and named “Olympia Motorail Car Park P4”. For the sake of completeness I should note that we arrived and departed Kensington (Olympia) on London Overground seeing as the District line wasn’t running that day!